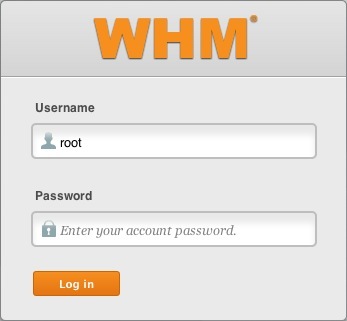 The password for the root user so that you can login to WHM. 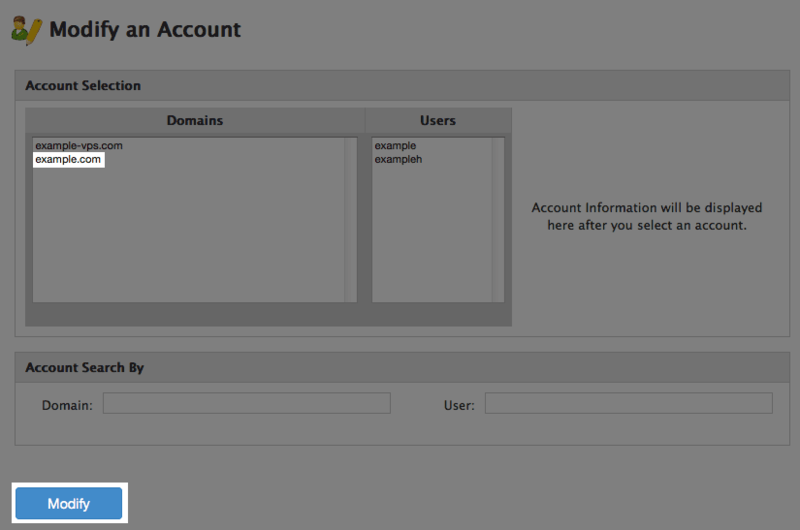 Login to the WHM by going to yourdomain.com/whm in a browser. Replace yourdomain.com with your domain name. You may see a page titled "Feature Showcase". If so, click on Exit to WHM at the bottom of the page. At the top left of the page, type "Create" into the search bar. In the search results, click on "Create a New Account". Searching Create in the WHM. Domain: The main domain for this account. Username: The name used when logging into the account. Password: The password used when logging into the account. 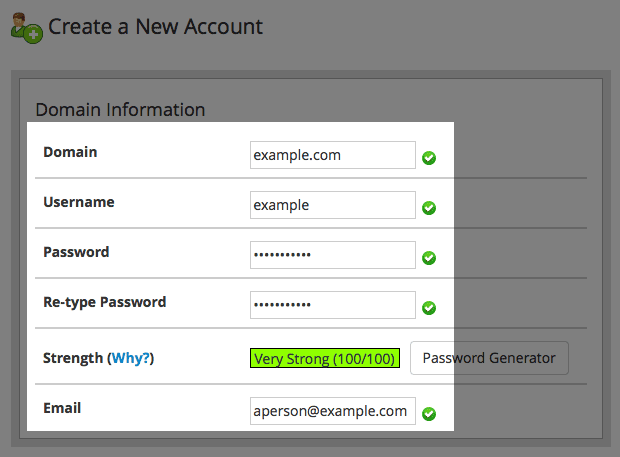 Re-type Password: Type the password again to ensure accuracy. Email: The contact email for the person who will using the account. Under Package, choose the package of options you want this account to have or choose Choose Options Manually to be given a list of options you can add to this account. Under Settings, choose either the x3 or Paper Lantern theme. Note: Do not choose the Just Host theme. 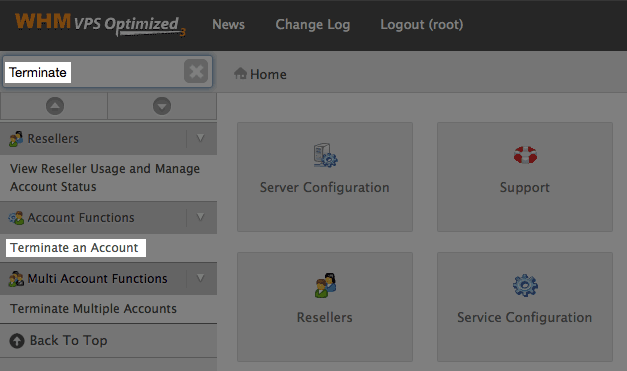 This theme does not work on any account but your main Just Host cpanel. You may adjust the other settings if you feel comfortable doing so. For all others, it is recommended to leave them at the defaults. At the bottom of the page, click the Create button. Finally, you will be shown a page the will confirm the account was created. 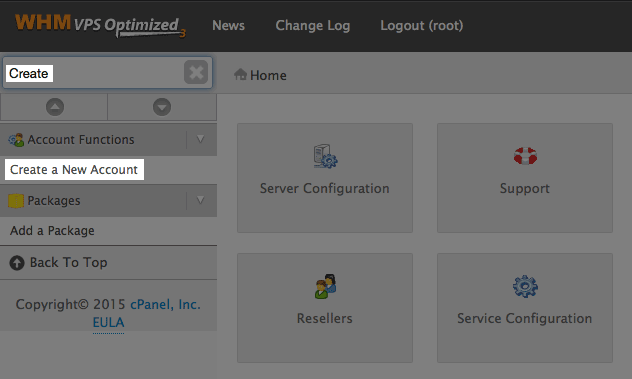 Go to domain.com/cpanel in your browser. 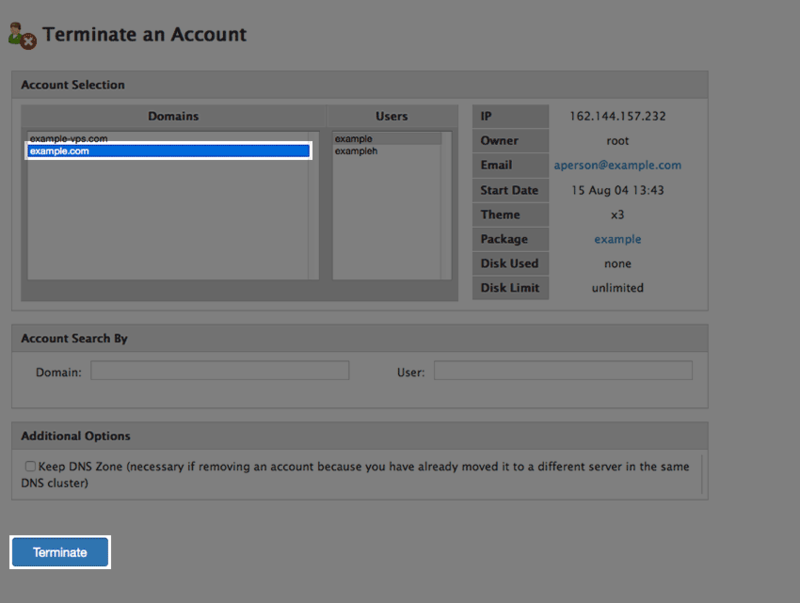 Note: replace domain.com with a domain that point to your server or your servers IP addresss. 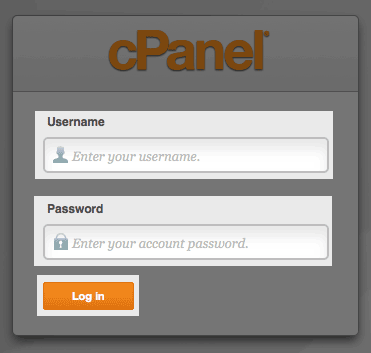 You will be taken to the cpanel for the account you logged in with. In the top left of the WHM, type list into the search. Searching list in the WHM. 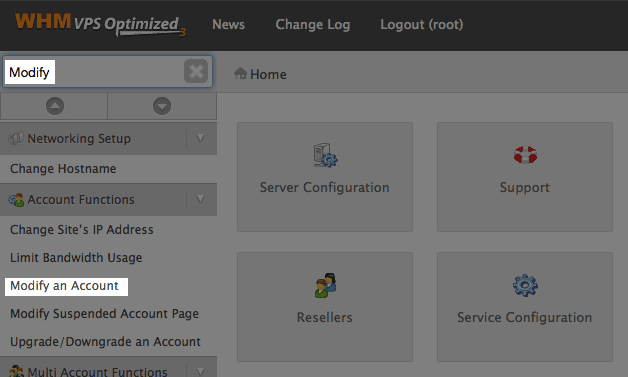 On the list of accounts click the cPanel Icon for the account you wish to login to. In the top left of the WHM type list into the search. Click the + symbol next to the account you would like to change. In the change password box enter the new password and click the Change button. In the top left of the WHM, type modify into the search. 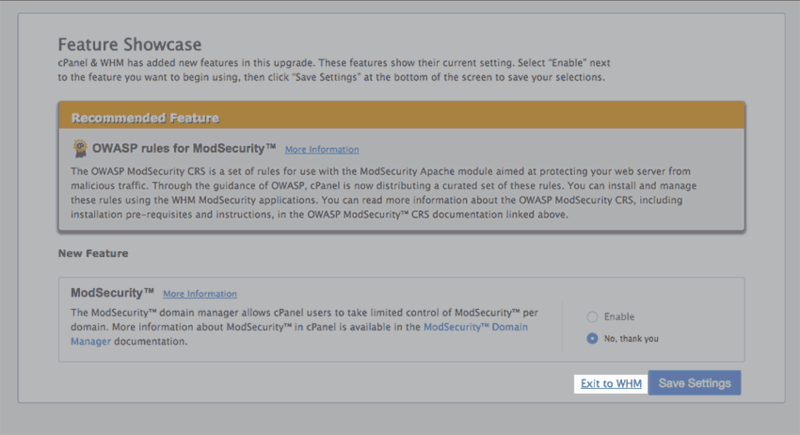 Searching modify in the WHM. 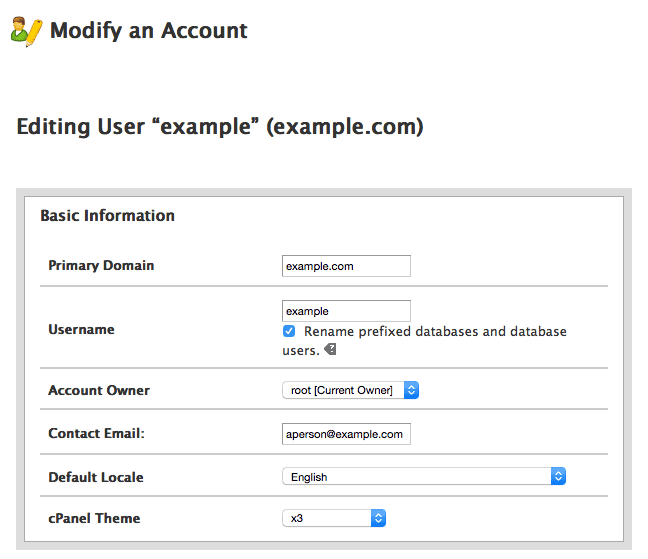 In the list of accounts select the account you wish to modify. Go through any of the options you would like to change. Terminating an account will delete all account information and data contained within the account. In the top left of the WHM, type terminate into the search. Searching terminate in the WHM. In the list of accounts choose the account you want to terminate. At the bottom of the page, click the Terminate button. 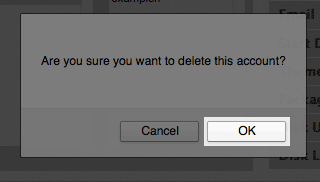 When prompted, click Ok to confirm that you want to terminate the account. You will be shown a page confirming the account was terminated.